Directions: Summer To Walnut, 123 To Walnut Or Washington To Walnut. Next availability for private showing appointment is Saturday 26 between 9-10am. Go through showingtime! 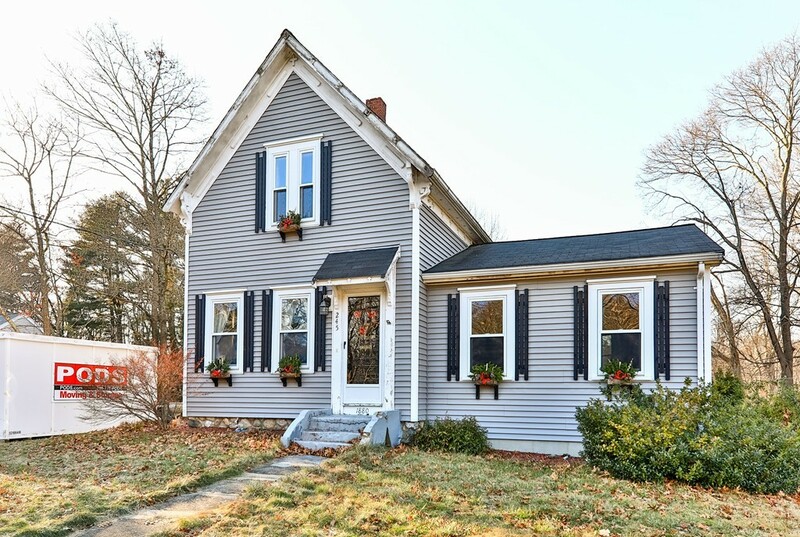 This farm house colonial will charm and delight you. The entry room off the driveway is great for coats and shoes. The kitchen is bright and cheery. Bonus...1st floor laundry! Renovated full bathroom. The formal dining room opens to a spectacular family room addition with vaulted ceiling. It is a perfect fit for that stupendous Christmas tree you have always wanted. Hang your stockings by the chimney with care, and spend cold winter nights by the fireplace there, a hot cup of cocoa and a movie to share. An extra 1st floor room is the perfect space for an office or play. Most windows are top quality Harvey. Easy maintenance vinyl siding. When the spring and summer roll around you will appreciate the tremendous yard with spacious deck, patio area for fire pit and fenced garden area. Plenty of parking. Nearby commuter train. Welcome to 2019...welcome to your new home! garage is in disrepair... it has not fallen yet!